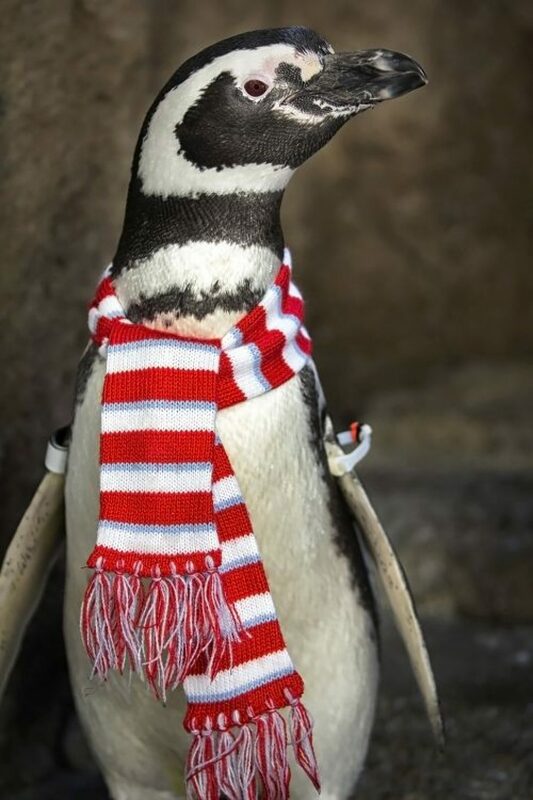 Santa Diver will be at the Aquarium Pacific passing out holiday treats. The 7: Stuff to do this weekend including… What do fish really think of fruitcake? It’s getting cold. Really cold. Put on a jacket and button it, cold. Ladies and gentlemen, is this why we pay taxes? The phone went dead on his end, I’m assuming after it was dropped into the blowhole. While my cousin is stuck—enjoy your chew, Ahab!—here it will heat up to the mid-to-high-60s, this weekend, meaning it will be borderline safe to go outside. We’ve got a few things for you to do outside, including live animals and boats, as well as some stuff to do inside, including live animals and Bing. Maria Callas was the 20th century’s greatest soprano and on the shortlist of the century’s greatest singers—a list that would have to include the likes of Nina Simone, Frank Sinatra and whoever did the theme to “Gilligan’s Island.” She was also a larger-than-life, wildly temperamental figure for whom the term “Diva” seems to have been coined. In fact, if you Google “Diva”—go ahead, we’ll wait—you’ll see that her picture pops up immediately, along with Mariah Carey, Diana Ross and the President of the United States. Tom Volf’s “Maria By Callas,” playing at the UA Long Beach 6, tells the life story of the legendary Greek/American—born in New York, who knew?—opera singer completely in her own words. The film uses performances, TV interviews, home movies, family photographs, private letters and unpublished memoirs, nearly all of which have never been shown to the public, to show the inner workings, triumphs and tragedies of one of the world’s greatest artists. UA Long Beach 6 is located at 6601 East Pacific Coast Highway. Concentrated around the intersection of Bellflower Boulevard and Wardlow Road, are numerous churches that some people—me—have dubbed as Jesus Junction (trademark pending, ditto excommunication). Every Christmas, six of these faith communities—Calvary Chapel, Long Beach Christian Reformed Church, St. Cornelius Catholic Church, St. Luke’s Lutheran Church, The Neighborhood Church and University Baptist Church—get together to interpret the story of Christ’s birth with live recreations. What is produced is an enchanting mix of fun and music, kids running around and people smiling. The Portraits of the Prince of Peace Pageant—pray that five times fast—tells the Christmas story chronologically through a series of live tableaus produced by the churches. The actors and animals are real, but visitors are warned not to get too close; those are live actors. There are also murals and music and a lot of happy people walking, meandering and marveling at the end-to-end pageant that takes up several blocks. I think I’m going to take my niece and nephew to this. It’ll take me back to good, ‘ol St. Raymond’s where, every year, I was saddled with the part of Shepherd #2. 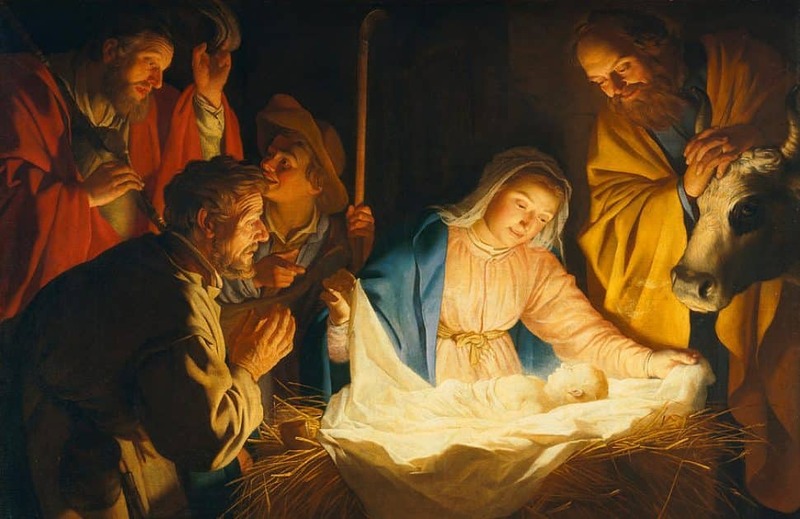 After Shepherd #1 suggests going to Bethlehem to worship the newborn king, it was Shepherd #2 who pipes in that if they do he and his colleagues are due golden time, i.e. time-and-a-half. Did I mention our Christmas play was produced in partnership with the Teamsters? Portraits of the Prince of Peace Pageant takes place December 7th through 9th, from 7:30 to 9 p.m. It starts on the South East Corner of Bellflower and Wardlow and begins in front of St. Cornelius Catholic Church, 5500 E. Wardlow Road. It’s free! There are lots of choices for your boat parade patronage this time of year; ones in Huntington Harbor, Newport Beach, Dana Point, but the annual Naples flotilla has an intimacy and coziness that those can’t really touch. In part, because when the light-festooned ships pass by the canals you feel as though you can reach right out and touch whatever it is those on board are drinking. The parade, which gets started at 6 p.m., can also be seen from numerous other vantage points including the beach along Bayshore and the Peninsula. It’s a great scene to see and be a part of, right up until that time the eighth vessel comes along blasting “Blue Christmas.” Until then, bottoms up! For the rest of the day, the center stage will be busy with performances by students at the Qeej Not Gangs Cultural Arts Program as well as local, regional and national Hmong master artists. Sports competitions are in the surrounding fields including traditional top spinning. There will be food and crafts booths with some offering the beautiful handmade Hmong traditional clothes decorated with embroidery and appliques. It will be a lovely time and the nice thing is you can show up any time you want. El Dorado Park is located at 7550 East Spring Street. The Long Beach Museum of Art, in an effort to encourage more people to think seriously about collecting, is putting on an art fair called EMERGE, Saturday and Sunday. The museum’s education department selected seven emerging to mid-career artists from Southern California, as well as Long Beach, to sell their work in an effort to facilitate meaningful interactions between hard-working artists and burgeoning collectors. Each artist will be given their own space to transform with a curated selection of their own works. Prices will range from $25 to $2,500, with all proceeds going to the artists. If you want to see how the big boys and girls do it, we can not recommend enough the fascinating documentary “The Price of Everything” about the ins, outs, ups, downs and general insanity, hypocrisy and pretensions of modern art collecting. 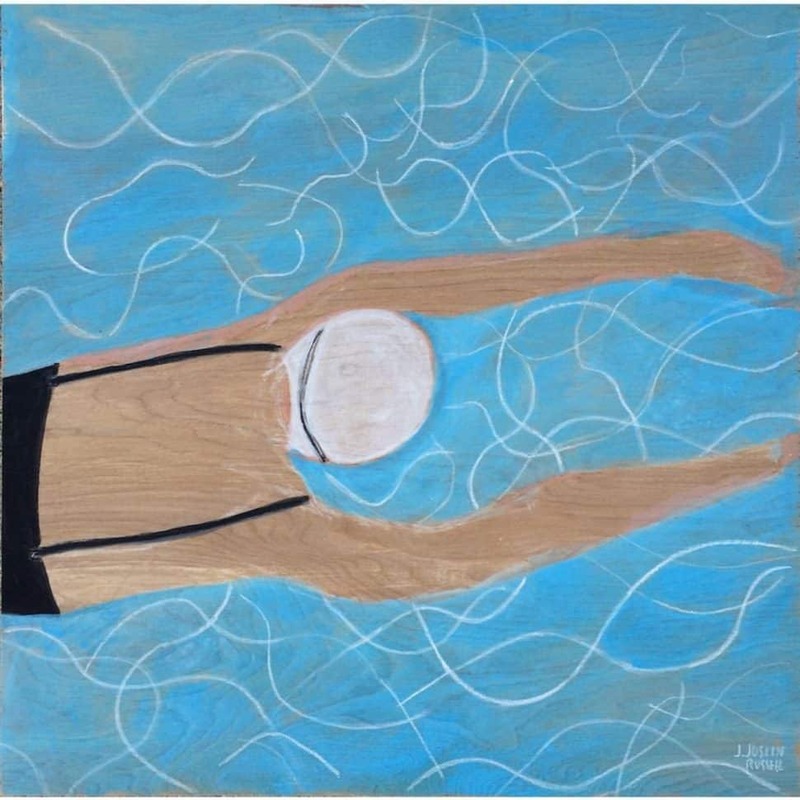 EMERGE: Art Fair is free to attend and will take place Saturday, Dec. 8 and Sunday, Dec. 9, 11 a.m. to 4 p.m. at the museum’s Anderson House, located at 2300 E. Ocean Boulevard. For more info, visit the website here. The Aquarium of the Pacific has all sorts of holiday stuff going on pretty much all month. There are daily penguin parades at 10 a.m., daily screenings of the original “Dr. Seuss’ How the Grinch Stole Christmas” (accept no substitute!) and daily appearances by Santa Diver. 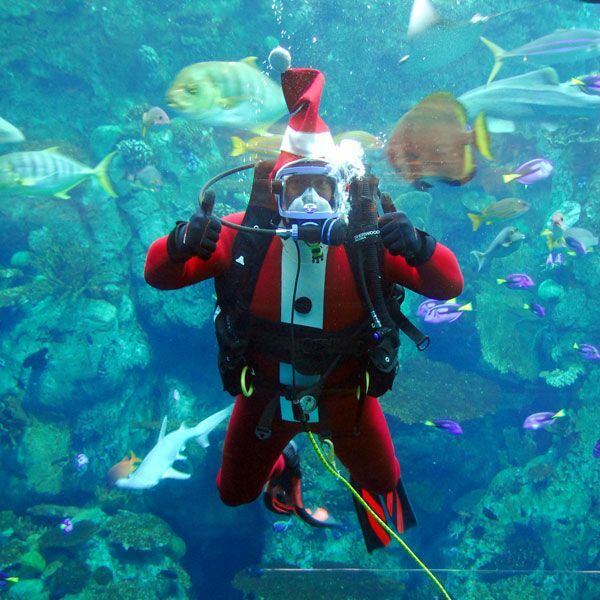 Now what this Santa Diver will be doing this weekend, at 12:45 p.m. and 3:45 p.m., is dive with the fish to bring them some “holiday treats”, according to the folks at the aquarium. Exactly what kind of concoction of critters constitutes holiday fair for fish, it can’t be any worse than the fruitcake your family has been passing around since the Ford administration. Aquarium of the Pacific is located at 100 Aquarium Way. Look for the ocean, you can’t miss it. Now, I have these friends. The absolute best people in the world. Good, level-headed people … except where the film “White Christmas” is involved and then they just lose it. These people watch the movie, starring Bing Crosby and Danny Kaye, multiple times a holiday season, I’m talking double digits. I have not spoken to them about Fathom Events in partnership with Turner Classic Movies bringing “White Christmas” back into theaters this Sunday. The classic will be playing at select venues, luckily two are in Long Beach: the Cinemark 14 and the Regal Long Beach Stadium 26. If you’re saying “Well, I’ve already seen that,” you’ve probably seen it on TV and there is no substitute seeing a film, especially a classic Hollywood musical, on the big screen where it was meant to be viewed. So go have a look. Showtimes are at 2 p.m. and 7 p.m.
Cinemark 14 is located at 99 South Pine Avenue; Regal Long Beach Stadium 26 at 7501 Carson Boulevard.